How to add an event, invite members and accept invitation? In this section, you can create an event. 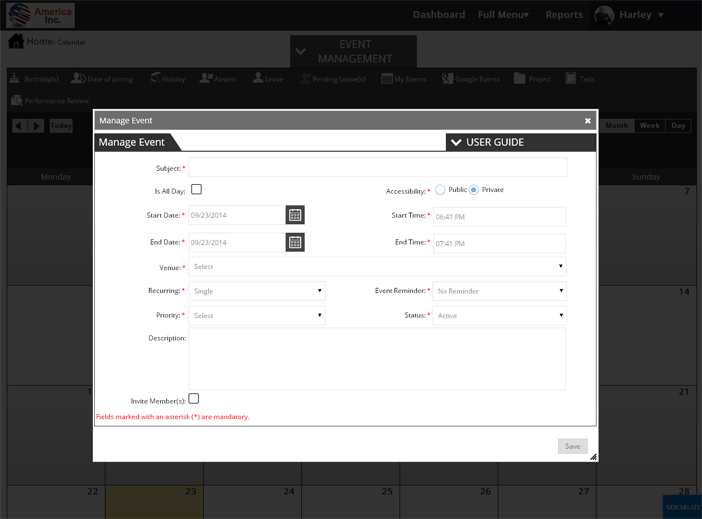 It helps you to organize events and manage attendees. It is completely customizable to suit your event. To create an event, invite members and accept invitation, follow the below given steps. 2. Click on ‘Add Event’ button. 3. Enter the event subject. 4. 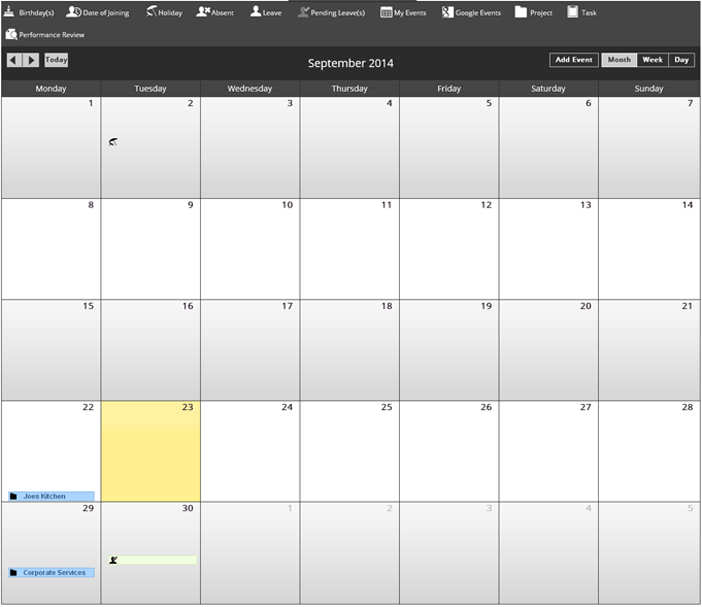 Select accessibility, start date and time, end date and time, venue, recurrence, priority, event reminder and status. 5. Checkmark invite members and select the users to invite. 6. Click on ‘Save’ to create the event. 7. To accept the invitation, go to dashboard, click on the event created in inbox. 8. Click on ‘View Details’ and then Click on ‘Accept’.